Have you been turned down for a credit card. Now with the Surge credit card you may never be overlooked again. Some traditional credit card issuers may turn down having to approve someone with past credit problems. That is why you need a credit card from the Continental Finance Company. This company was founded in 2005 and is one of Americas largest servicers of credit cards for consumers with less-than-perfect credit. When you get a credit card issued from the Continental Finance Company you get the best of an unsecured and secured card benefits. For instance this company will first attempt to approve you for a card with out taken a security deposit. If denied Continental Finance will review your application for an secured product if you can deposit money for a card with a $50, $150, or $500 refundable security deposit based on creditworthiness. 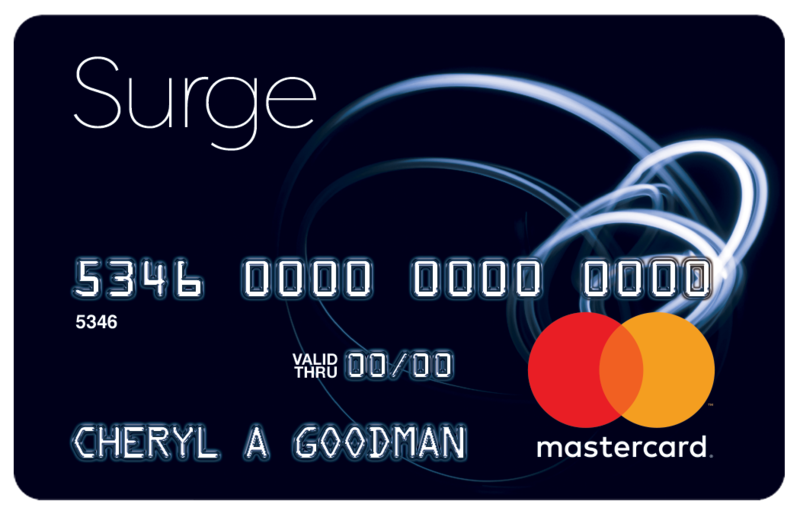 With a Surge MasterCard you can apply easily online and you will get an initial credit limit of 500.00 bucks. Get monthly reporting to all three major credit bureaus, so you can protect your credit from any wrongdoing. Use your card at locations everywhere that MasterCard is accepted.